Visit some the district's Wineries, Bakeries or try The Rocking Horse at Gumeracha on your trip. Don't trust your GPS though as we have had some problems with visitors locating us. Situated just 2 km North of Mt Pleasant on the Eden Valley Road ( B10) we are located in some of the finest country side in the Hills and the Barossa Valley. 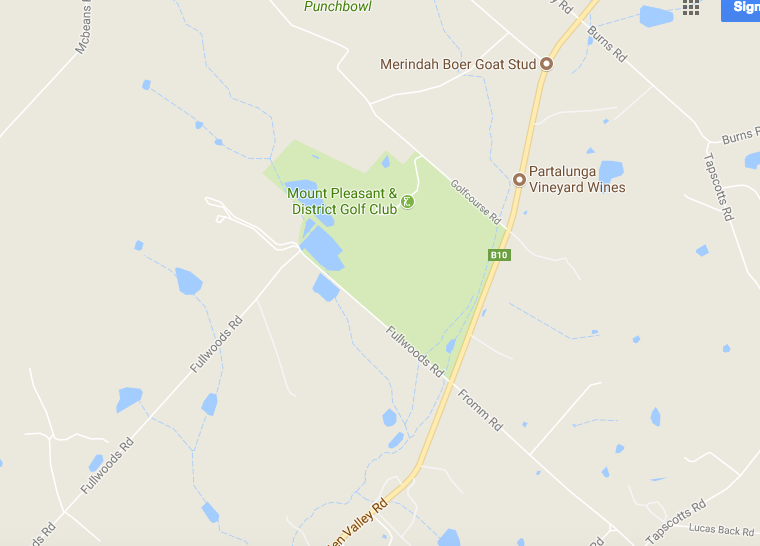 You will find us at the home of the Mount Pleasant & District Golf Club.